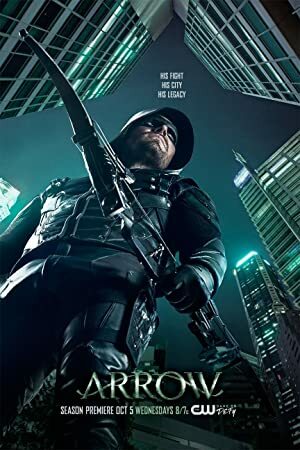 Sinopsis : Oliver Queen and his father are lost at sea when their luxury yacht sinks, apparently in a storm. His father dies, but Oliver survives for five years on an uncharted island and eventually returns home. But he wasn't alone on the island where he learned not only how to fight and survive but also of his father's corruption and unscrupulous business dealings. He returns to civilization a changed man, determined to put things right. He disguises himself with the hood of one of his mysterious island mentors, arms himself with a bow and sets about hunting down the men and women who have corrupted his city.